Russian climate policy became active lately: the first meeting of the interdepartmental working group on climate change took place, a draft of the Decree of the President of Russian Federation "On the level of greenhouse gas emissions" was published. As part of the BRICS alliance, Russia signed under the intention to develop "green economy". However, these actions cannot be named productive so far. 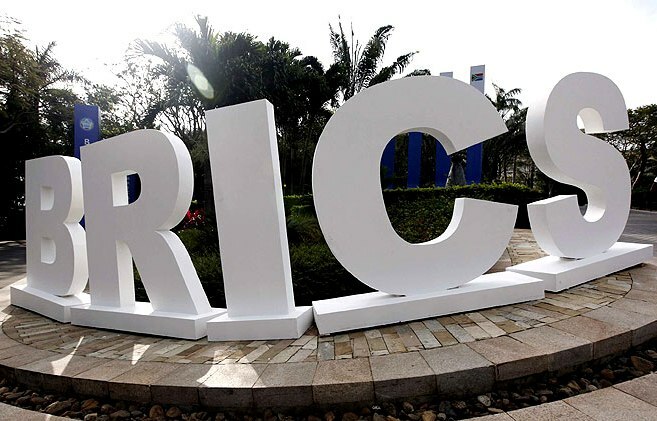 The BRICS leaders say in the declaration signed in Delhi, India, that "green economy" should become "the main paradigm in environmental issues, as well as with regard to economic and social policies". BRICS attention to the environment and the climate is justified. The group of five emerging countries - Brazil, Russia, India, China, South Africa - is considered a leader among the fastest growing economies in the world. According to Goldman Sachs, by 2050 the total size of their economy will exceed the total size of the economies of the eight richest countries. Meanwhile, the BRICS economies are not environmentally friendly. If current trends continue, these countries will provide significant increase in greenhouse gas emissions in the next 30-40 years. In their declaration, the heads of the states note that "acceleration of growth and sustainable development, while ensuring food and energy security, are among the most important challenges facing the world today." Mentioning climate negotiations in the same text, BRICS representatives say: "We welcome the significant results of the conference and stand ready to work with the international community to implement the decisions taken at the conference in accordance with the principles of equity and common but differentiated responsibilities, as well as the available opportunities." The green development triumphantly marching over the world has not caught on Russian soil yet, contrary to expert expectations. The Green Investment Scheme, the least bureaucratized form, has not yet found a decent application in Russia. As the RSEU Climate Secretariat wrote before, this mechanism has been proposed by the Russian delegation in 2000 and is ideal for Russia, allowing projects to have the Kyoto status, reducing investment risk, and without requiring special legislation. However, Russia has not yet given "green light" to implementation of the green investment scheme. Now the Green Investment Scheme implemented in the countries of Central and Eastern Europe, most actively - in the Czech Republic and Ukraine. It is interesting that other BRICS states are not waiting for actions by other countries. For example, one of the most prominent players in the global economic arena, China, has announced recently a tax on greenhouse gas emissions. Chinese investments in "green" energy made $ 68 billion, the highest world record. China is also the leader in the field of foreign direct investments in renewable energy - the Chinese are investing in factories for production of solar panels in Turkey. South Africa is implementing 28 large-scale wind and solar projects with total capacity of 1.4 GW. Russia cannot boast by large-scale renewable energy projects, and we are not expecting introduction of the tax on greenhouse gas emissions so far. "At this stage, this tax is not necessary," - said Alexander Bedritsky, Presidential Advisor, Special Representative of the President for Climate, in an interview to RIA-Novosti. True, he did not rule out that this measure will be in demand in the future. "We are determined to play our part in the global fight against climate change and will make a contribution to global efforts to combat climate change through sustainable and inclusive growth, and not through imposing restrictions on development," he added. Some countries leave statements about development of "green economy" as declarations, and others introduce climate friendly technologies and contribute to the real welfare growth. The RSEU Climate Secretariat supports Russia's participation in the Delhi Declaration of the BRICS countries in the part of "green economy" and climate policy. The ecologists have stressed that our country is historically one of the largest emitters of greenhouse gases, so the greening of the economy not only fully consistent with the international context, but also with the country's national interests. According to the RSEU, the most efficient measures to solve the problem of climate change in the field of energy are introduction of renewable energy sources, energy saving and energy efficient technologies, that is fully consistent with the principles of "green economy".